← "I'm Hungry For A Restaurant"
So guess what a great husband I have? He rented New Moon on the way home. We’re actually watching it right now, but it’s hard to focus on blogging and actually HEAR the damn thing- between Edward’s mumbling and Chloe’s barking (we’re in the middle of a thunderstorm). Oh man, I’m exhausted. You know my awesome sleeper? The baby who goes to bed at 9 and wakes up at 8 the next morning? Well. Last night we put him down at the usual time. Then he was up at 2. Then again at 5. Aaaaand then at 7. I guess it’s a growth spurt. He’s eating constantly- which in turn means that I haven’t stopped eating all day. I got through the first circuit of the 30 Day Shred and had to go grab a snack. 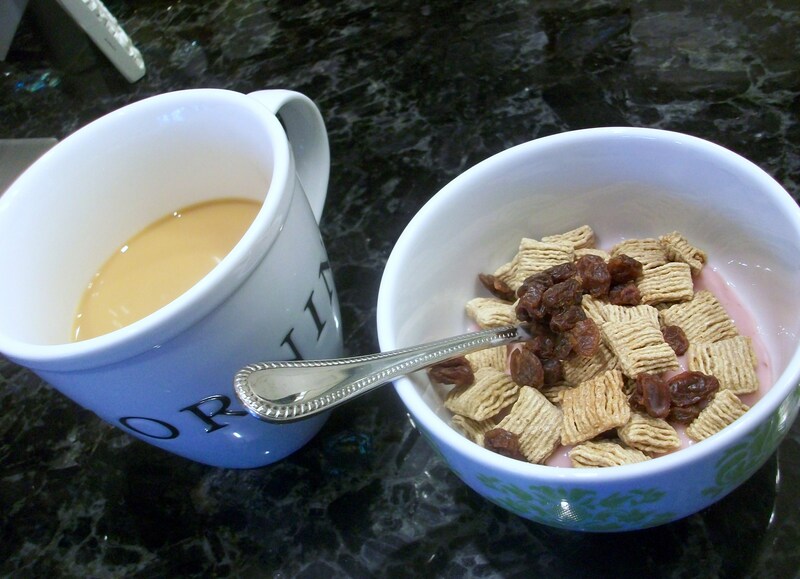 I had a (groggy) breakfast of Raspberry Yoplait with Quaker Cinnamon Oatmeal Squares and raisins… and coffee, obviously. Mid-workout snack: Luna Protein Bar. I think it was chocolate cherry almond. Not a huge fan. 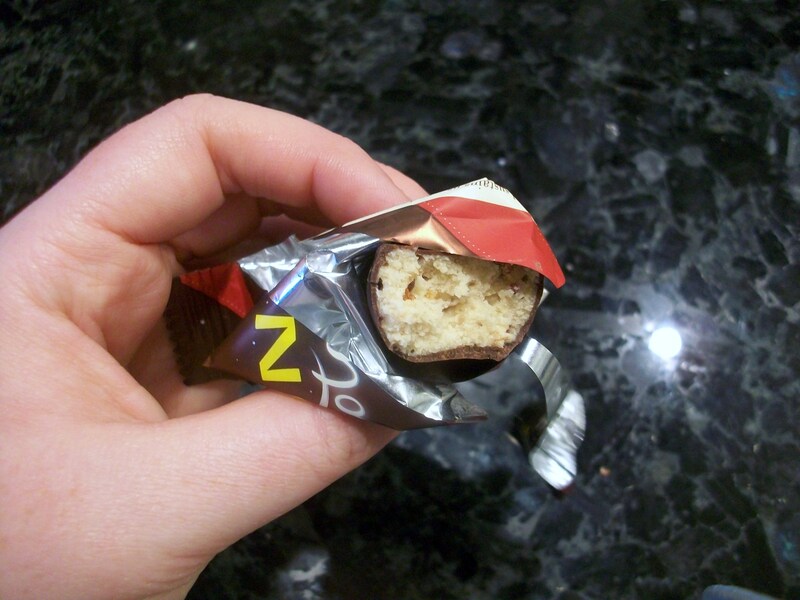 The inside was kind of a nougat. It was better than protein bars I’ve tried in the past, but not great. Lunch was leftover Moroccan Eggs with whole wheat naan and the rest of last night’s Artichoke Salad (drizzled with Annie’s Woodstock Dressing). Jack and I took advantage of the warm weather and hung out in the backyard for a while. He’s so stinking cute- every time the wind would blow his hair around, he would start cracking up. Unfortunately our backyard doesn’t get a lot of shade, so he had to borrow mommy’s specs for a while. We’re back on the budget for dinner. 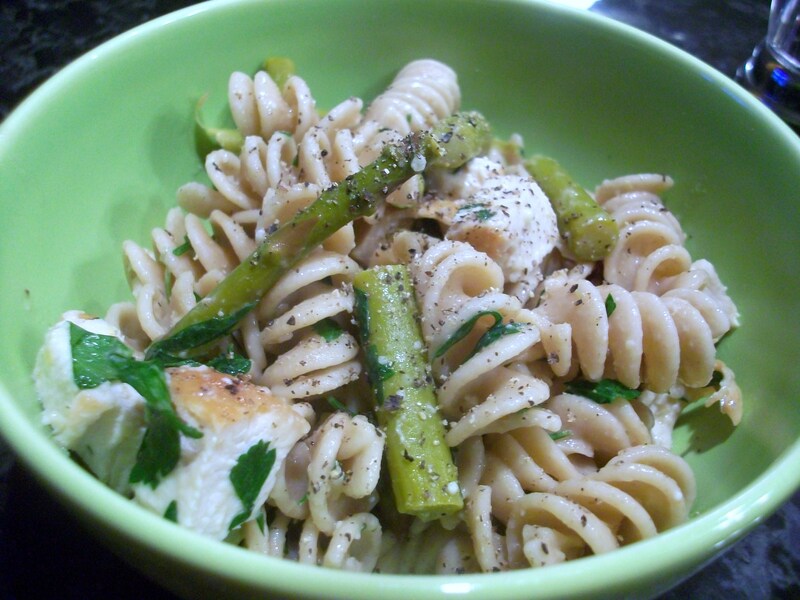 It’s kind of fun to get creative with what’s already in the fridge: Chicken breasts, asparagus, lemons, capers and pasta (well, not in the fridge- but still). I ended up creating a kind of modified chicken picatta-ish dish. It’s a good springtime meal; not too heavy or saucy. 1. Prepare and drain pasta. Set aside. 2. Season chicken breasts with salt and pepper. In a large skillet, heat olive oil over med-high heat. 3. Add chicken breasts to skillet and cook, flipping breasts halfway through cooking (these took about 10 minutes total- but they were pretty thick). Once chicken is done- measuring 165 degrees- remove from pan and set aside. 4. Deglaze pan with white wine, scraping up browned bits. 5. Add garlic, asparagus and chicken broth. Cover skillet with lid and allow to steam for 3-4 minutes, until asparagus is tender. 6. Remove lid and add capers and the juice of one lemon (set aside juiced lemon for zesting). Simmer for about 3 minutes. 7. Whisk in butter and allow to simmer for a few more minutes. Add chopped parsley and season to taste with salt and pepper. 8. Add drained pasta back into pot. Pour the asparagus and sauce onto the pasta and toss to coat. 9. Chop chicken breasts into 1″ chunks. Add to pasta. 10. Top with grated parmesan. Like I said, the sauce is very light. If you love lemon, you may want to squeeze in another lemon’s worth of juice (I did). This makes a LOT. We both had huge bowls- and I had seconds- and there’s still probably 2 servings left. I bet this would also be really good with artichoke hearts instead of asparagus. Hope everyone had a great night! This week is flying by. 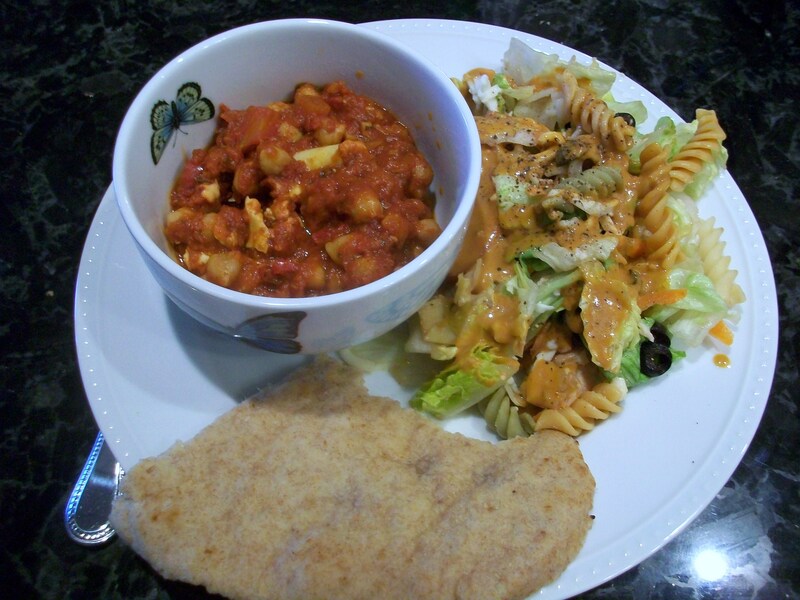 This entry was posted in March 2010 and tagged Cooking, Jack, Recipes. Bookmark the permalink. Dove has these peanut butter eggs that are to die for. It’s probably a good thing I’ve only seen them at Target. Otherwise, I’d be buying a bag each time I went to the grocery store. I love the glasses! He is so cute. I used to love the Cadbury Cream Eggs, but now I prefer the Dark Chocolate Cadbury Mini Eggs. I love Jack’s rockin’ shades!! He’s so stylish! My favorite Easter candies are the Reese’s Eggs. I stalk them at the grocery store. They always have a bowl of them at the checkout. I scan the aisles looking for the checkout with my favorite treats and stand in that line so I can santch a few. My husband just rolls his eyes, but I have no shame! YUM, i bet you could use rice spirals instead and make a wonderful gluten-free dish! Also, my favorite easter candy is a giant hollow chocolate bunny with one ear missing (the ear that I have already eaten). Definitely Reese’s peanut butter eggs. YUM!!! Jack sleeps that long?! I’m way jealous. I’m getting serious about our sleep issues tonight b/c I’m exhausted! I love the Reese’s Eggs and the Dark Chocolate Mini Cadbury Creme Eggs! 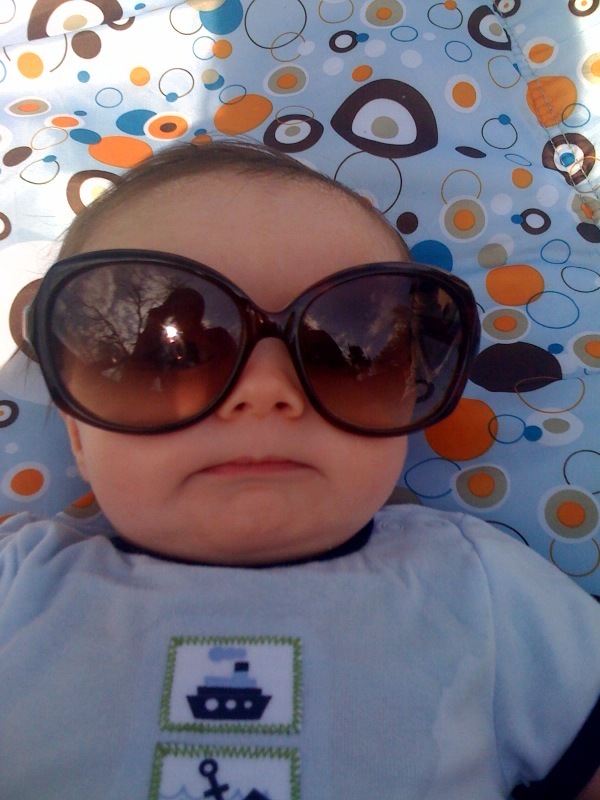 aww little jack looks so cute with sunglasses!